We can tell from the fact that 4.5 million children live below the breadline, up by a million in less than a decade. We can tell from reports of soaring rates of depression and fact one in three teenagers report mental health issues including anxiety and self-harming. We can tell because English children’s happiness has plummeted since 2010 with England now near the bottom of the international table of happiness in childhood. We can also tell from the theatre being made. 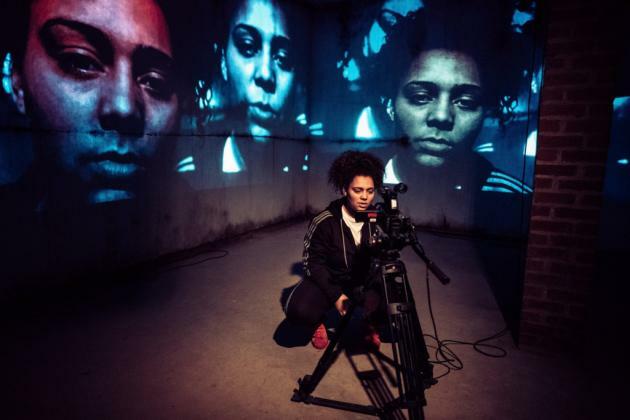 Bullet Tongue, a brilliantly spikey piece of promenade theatre created by Big House, a charity working with care-leavers and young people at risk, gives it straight to us from the horse’s mouth. Bumper (Shonagh Woodburn-Hall) is a 15-year-old with the gift of the gab and a talent for getting into trouble. With her brother in prison and her mum recently dead, she’s cut adrift and looks for family where she can find it, in this case with a gang of small-time drug dealers. But when Bumper secures a gun from the all-powerful One Ton (Kevin Manteaw), putting her gang in his debt, things turn very nasty indeed. This is a great night out, and sometimes a shocking one too in Maggie Norris’ clever production which moves the audience around a number of spaces within the building. Through graffitied streets, prison and even a south coast caravan park where Bumper’s mum’s former boyfriend, barbequing in hilariously short shorts, is about to get a roasting from Bumper’s tongue. Inspired by the cast’s own experiences Andrew Day and Sonya Hale’s scripts mixes the peppery with the poetic and has a salty tang of authenticity. But some wizards are Voldemorts. One Ton certainly is, and there is a scene here where he exerts his power which is almost unbearable to watch. This is challenging stuff, full of grit and indescribable pain. Its superb young cast bring it vividly alive. Woodburn-Hall is outstanding as a young woman discovering that if you don’t have a voice you will remain powerless in the world. However much you try to swagger. Knife crime is brought to the fore in Erica Whyman’s RSC revival of Romeo and Juliet at the Barbican. The cast is predominantly young, and it is augmented by a chorus of young people — all still at school — that make it seem still younger. They speak the opening lines so the words rise like a confused babble echoing down the centuries from Shakespeare’s time to our own, from Verona to London. With over 1,000 stabbings in London so far this year, Whyman’s revival makes you feel something is genuinely at stake. If it sometimes drags a little, that is more Shakespeare’s fault than Whyman’s, and while Karen Fishwick as Juliet and Bally Gill as Romeo are both individually strong they don’t quite make sweet music together. But at its best this is lethally sharp, particularly in its exploration of identity. 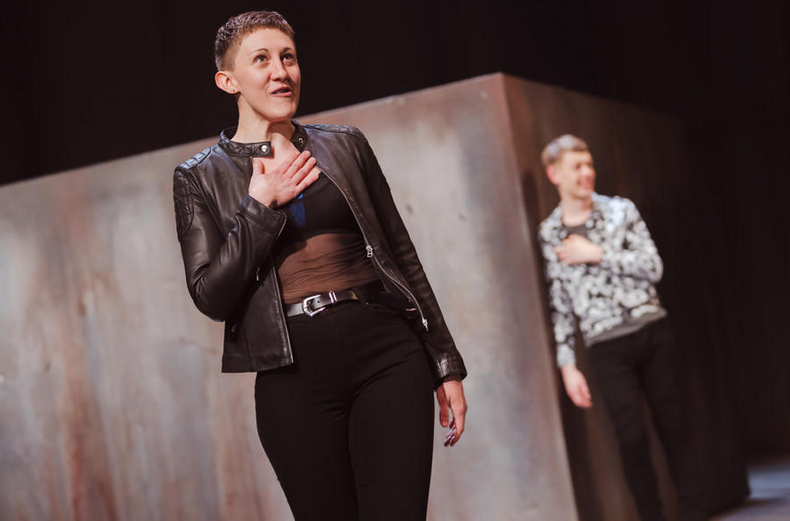 I loved the way that Benvolio (Josh Finan) is clearly in love with Romeo, and that Charlotte Josephine’s Mercutio is a young woman testing herself and who she can be amidst a posse of young men. Writing about Measure for Measure at the Donmar recently, David Jays smartly pointed out that the two different versions of the play that we see present the double standard with which men and women are judged. When Angelo’s misuse of power is found out he is humbled, but in the second half when Isabella’s is uncovered she is humiliated. Something similar happens here. Mercutio thinks she can take on Tybalt (Raphael Sowole) and win. When she fails she suffers more than one death. Josephine’s performance has a thrilling directness, and she owns the language utilising her natural working-class London accent to brilliant effect. 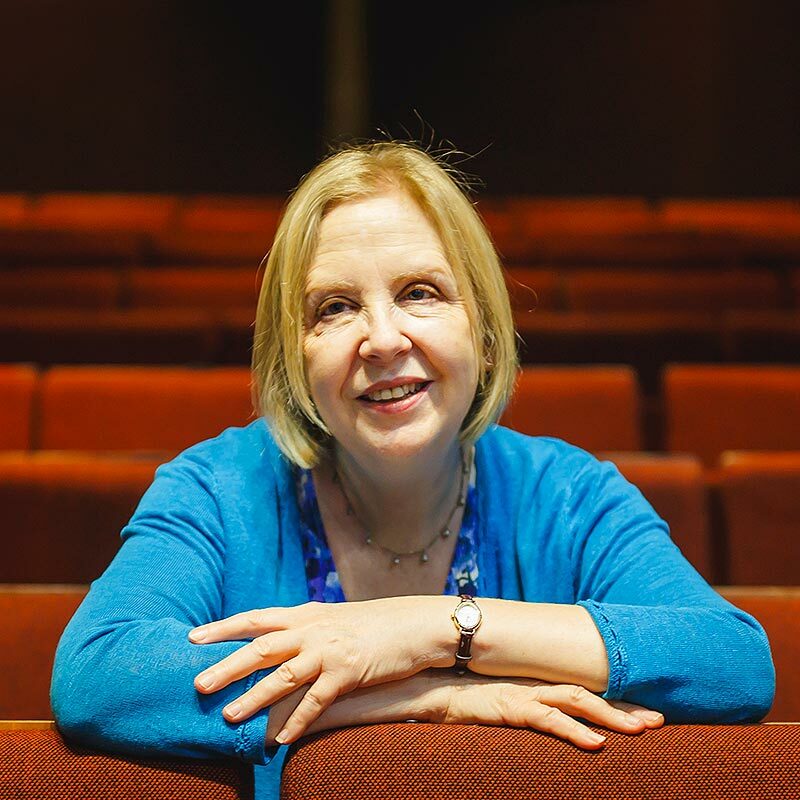 She not only makes us hear the poetic beauties of the verse afresh but, just as Northern Broadsides did for regional accents, it raises questions about who can speak Shakespeare on stage and how we receive it. There are other good things too: Beth Cordingly is a pained Escalus, a firm but fair female ruler who wants to knock the heads of her warring subjects together until the moment when it becomes personal for her too. The toxic marriage of the Capulets is also neatly delineated. Mariam Haque’s Lady Capulet suggests a woman who knows all about domestic violence and has good reason for not wanting her teenage daughter to marry her husband’s friend, Paris. It’s not just British teenagers who are in crisis. 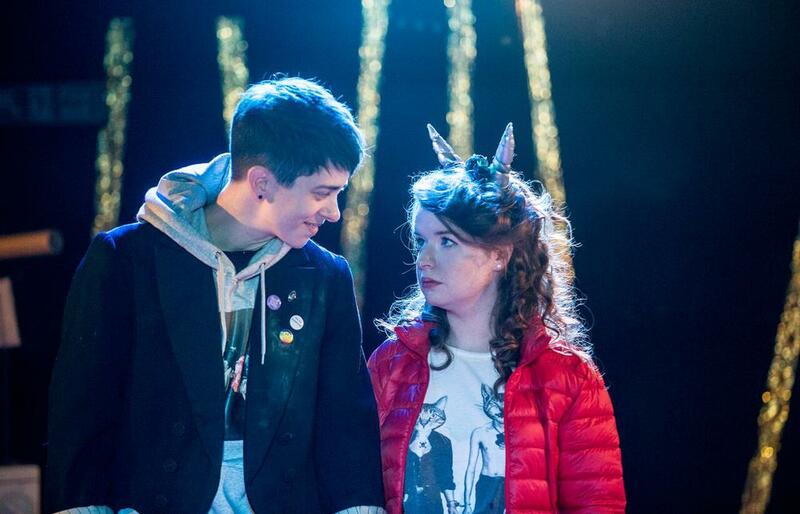 In Cuckoo at Soho Theatre the mouthy Iona (Caitriona Ennis) and the entirely silent non-binary Pingu (Elise Heaven) are so fed-up by being bullied and ignored by their peers at school that they decide to leave their Dublin suburb, Crumlin, and go to London. Before Iona can say Ryan Air they are suddenly attracting the attention of the very people who have ignored and taunted them: Iona’s former primary school friend Toller (Sade Malone) and her mates Pockets (Colin Campbell) and Trix (Peter Newington). The trio want to throw the pair a goodbye party. Lisa Carroll’s play has been on the short and long lists of several writing awards and you can see why. There is both snap and crackle in the writing, she knows how to place a smart joke, but it is also terrific on the teenage insecurities that make friendship so treacherous, particularly in the digital age. There are shades of Les Liaisons Dangereuses in the set up, and at two hours without an interval the slightness of some of the characters and the scenario can’t be ignored. But Ennis plays Iona as such a whirlwind of hormones, bad decision-making, puppyish enthusiasms and casual cruelties that you can’t look away, and Carroll’s portrait of the pressures and horrors of teenage life has enough complexity to make it more than just an Irish Mean Girls (and Boys). Tip: if you'd like to keep up to date with the upcoming work of the artists mentioned in this article, you can follow them on the Stagedoor app. If you follow a writer, like Lisa Carroll, then the next time a play of hers is being performed in London it will appear in your personalised Whats On page.